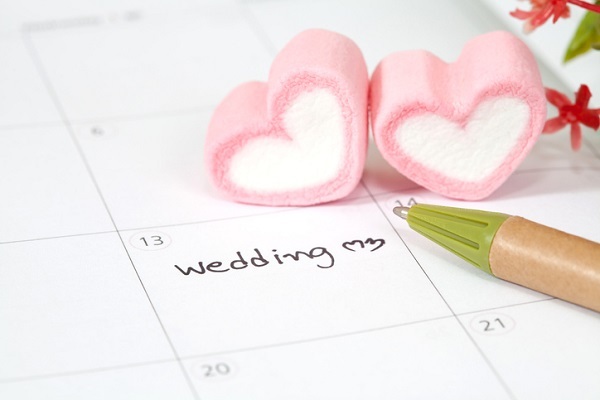 What time of year to get married? Shortly after your betrothed has popped the question, you will undoubtedly have a moment where someone will ask, “So, when’s the big day?” Whether you have thought about this very question for a decade or you haven’t thought about it all until you got engaged, setting the date for the wedding is without a doubt one of the biggest decisions you will make during your wedding planning. The wedding date will set the theme, tone and ambiance—and maybe even the cost of your big event. So, how do you choose when your wedding will be? What sorts of things will you need to take into account? How will it affect the rest of the plans? Here are a few ways to help you and your future spouse decide what time of year to get married.